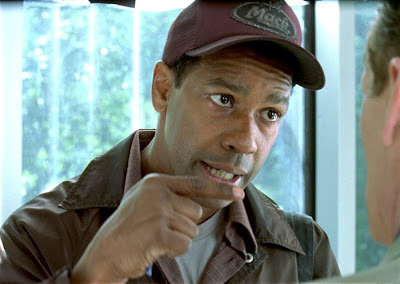 DENZEL WASHINGTON in John Q (2002): Not every dad would hold a hospital hostage in order for his son to receive the treatment he deserves (with or without insurance). Washington's brave however wild attempt to save his child's life distinguishes him from ordinary dad to superdad. 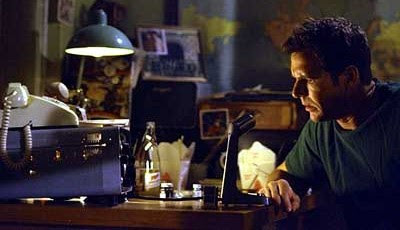 DENNIS QUAID in Frequency (2000): Dennis Quaid has a knack for choosing wholesome father and son movies. But in 2000, he teamed with Jim Caviezel in a science fiction-like take on the lengths a father would go to prevent the murder of his wife, and to see his beloved son in a whole new light. JOHN LEGUIZAMO in Where God Left His Shoes (2007): We generally know John Leguizamo for his comedic roles. But in this indie gem he plays a homeless ex-boxer and dad to two beautiful children struggling to get off the streets. His money may be low but his heart is full. The charming and warmly entertaining exchanges between him and his son especially are a touching to watch. 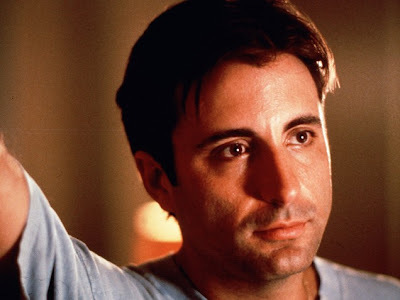 ANDY GARCIA in When a Man Loves a Woman (1994): It's hard enough to try to help your wife overcome alcoholism, but to also try to shield your kids from suffering as well is a tough job. But Andy Garcia does it well. Playing off one of Meg Ryan's more impressive portrayals, Garcia as the father brings a sensitivity and strength to an otherwise sad situation. 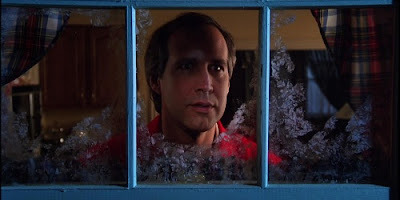 CHEVY CHASE in National Lampoon's Christmas Vacation (1989): All Clark Griswold (Chevy Chase) ever wanted to do was to have the best Christmas ever for his kids. Chevy Chase is hysterical as the iconic dad who can never seem to get things right. Whether it's his Christmas lights faltering or the perfect Christmas tree burning to a Christmas, Chase's Griswold never disappoints fans of his neverending A-for-effort style. 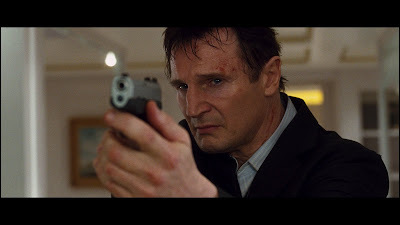 LIAM NEESEON in Taken (2008): If you went missing in a foreign land, would your dad fly across the world threatening to look for your kidnapper, find him and kill him? Well, Liam Nesson promised just that and actually carried out his promise. Every dad should be like this. WILL SMITH in Pursuit of Happyness (2006): Another homeless dad on our list who just wants his son to make a better life for himself. Smith, in arguably his best role, delivers a beautiful performance as a single dad who struggles make something of himself with the stigma of homelessness haunting him wherever he goes. The moments between him and his son are some of the most precious moments on screen. ROBERTO BENIGNI in Life Is Beautiful (1997): It's not easy to make a somewhat delightful Holocaust movie. But Benigni, who also directed and co-wrote the story, managed to create a wonderful world for his son as they suffered through each harrowing day at a Nazi concentration camp. Truly a special performance. STEVE MARTIN in Father of the Bride (1991): It's always hard to watch your little one grow up and leave the nest. But get married too? Steve Martin is entertaining and thoughtfully sentimental is this remake (which I think is better than the original). JAVIER BARDEM in Eat, Pray, Love (2010): In a movie not without its problems (but hugely underrated), Javier Bardem provides a sharp break in the main story with his small but touching performance as a man struggling to hold on to a new love and to his son who's grown up before his very eyes. Standout scene: Hie emotional goodbye to his son. Good call on Andy Garcia. I thought he did a great job in that film. Wow what a great list Candice! You have Where God Left His Shoes which is a hidden gem of a movie. Saw Frequency before my Dad passed away and now it holds a special meaning for me. Thanks for this list! Great list Candice, you really found some great ones! "Eat Pray Love" ... had its stints of entertainment - gets pretty boring and self-indulgent. I only saw two films from this list, but I enjoyed reading it. Great list, but I think I would have put Tom Hanks from Road to Perdition on there somewhere. Javier Bardem in 'Biutiful' also a great dad (but still doing some sins though). I love 'Pursuit of Happyness' and 'Life is Beautiful', and always wanted to see 'John Q'. Wonderful list Candice! I think for memorable Dads I have to also mention Robin Williams in The World's Greatest Dad - it is a very dark film but he definitely stands out. @Dan Thanks! I actually haven't seen that Robin Williams movie. will check it out.